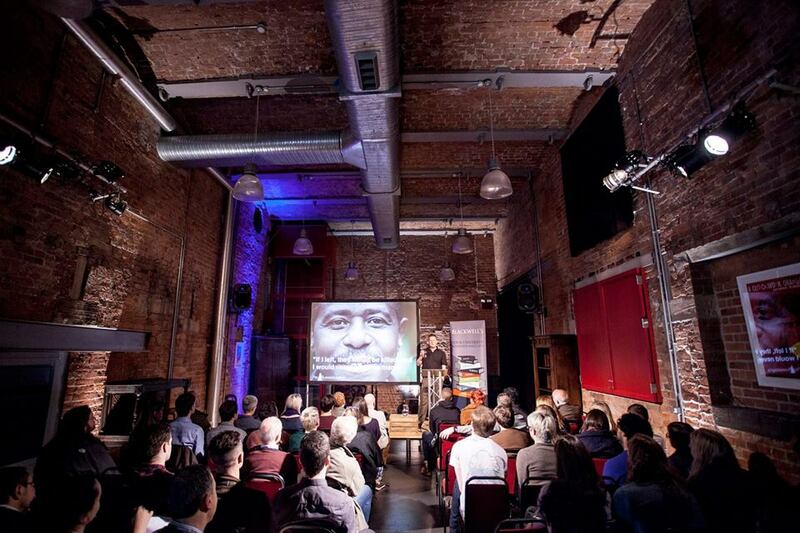 The International Anthony Burgess Foundation is a unique venue within one of Manchester’s oldest mill buildings. The high-quality conversion retains original architectural features – plenty of brickwork akin to a New York comedy club – and houses Burgess’s own furniture and musical instruments to create a distinctive location for your event. We also have a café bar which is perfect for a relaxed location for your audience or guests before they move into the main venue. Refreshments and catering can be provided and we offer buffet meals and drinks receptions, tea, coffee, cakes and snacks to suit all budgets. We can recommend the roasted veg and hummus sandwiches! 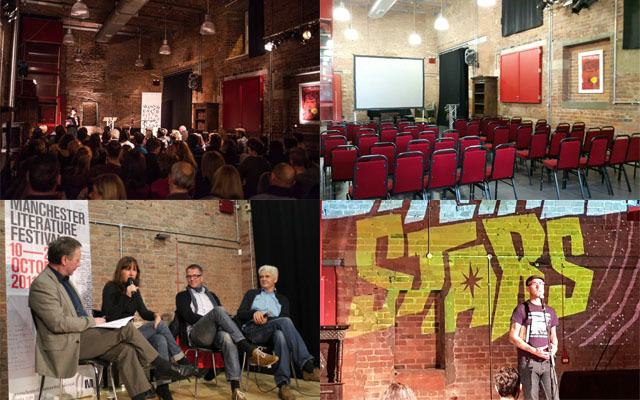 The Engine House is ideal for concerts, readings, conferences, launches, plays, workshops, away-days, lectures, film screenings, discussion and in-conversation events as well as receptions, lunches and private parties. We have an experienced and friendly team who will help your event run smoothly. Details of our facilities can be found beneath the video below. Tell us about your event requirements – scroll down this page and fill in our quick request form. 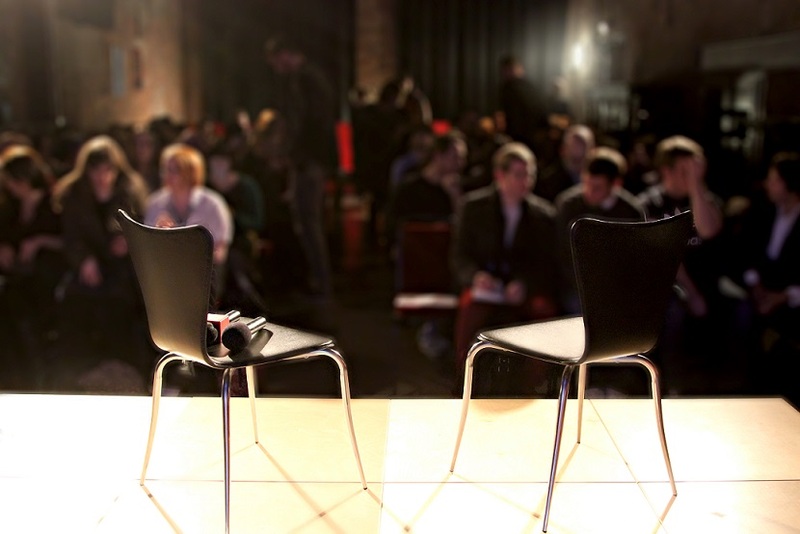 If you want to talk about your event further, please contact Ian Carrington on events@anthonyburgess.org or call 0161 235 0776. We have recently hosted events with (deep breath): Psappha, Manchester Pride, Kei Miller, Elif Shafak, Howard Jacobson, Alex Bellos, Olivia Laing, Chuck Palahniuk, Jonathan Meades, Hollie McNish and Henry Normal. We have also hosted conferences, workshops and away-days for The British Council, Manchester Metropolitan University, Manchester City Council, the Arts Marketing Association and the Performing Arts Network and Development Agency (PANDA), plus featured as a venue for the Manchester Literature Festival, Manchester Gothic Festival and Manchester Science Festival. 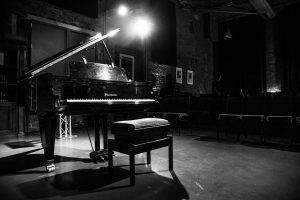 Use this form to get a quote for venue hire at the International Anthony Burgess Foundation. Enter more detailed information about your event above if you want, and any additional requirements such as catering. Then press "click to send" below. Once you submit this form, if you are returned to the top of this page, the form has submitted successfully.